We are having distribution problems with the September issue of Wargames Illustrated 347. It appears that copies of the magazine have not found their way onto the shelves of WH Smith and other high-street newsagents in the Reading, U.K., area. We are looking to resolve this issue as quickly as possible, but realistically, it might not be until late next week that copies of the magazine arrive in stores. Anyone within the U.K. ordering a copy of Wargames Illustrated 347 Print from the webstore will have their postage charge refunded. 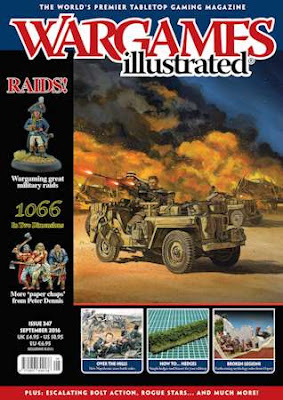 We will be at the Colours show in Newbury (near Reading) on Saturday, offering discounted copies of Wargames Illustrated 347. Many apologies to all our (potential!) readers who have been affected by this distributor Bleeped-Up.